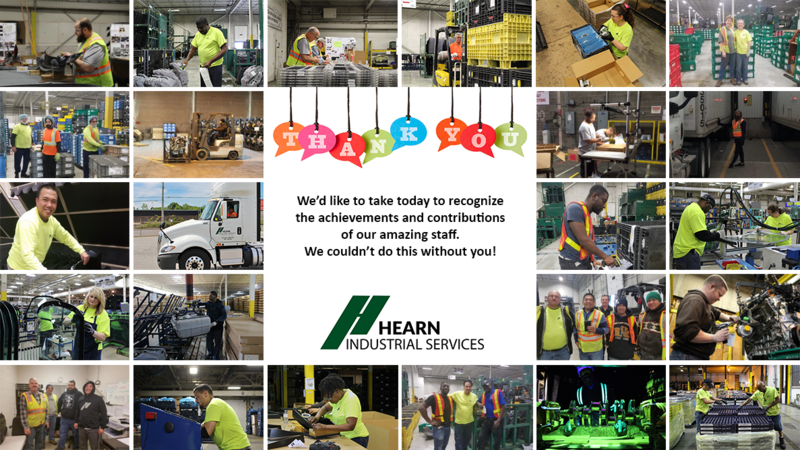 As members of the Hearn family, we are grateful and proud of our employees every day. But today especially, we want to take a moment to say thank you for your committed service! We value your talent, skills, and drive as key factors to our success and continued growth. For all the effort you have shown just to make this company succeed, we are deeply grateful.